While not many films necessarily warrant a sequel, you’d be hard pressed to find someone not excited for a follow-up to 2003’s Bad Santa. The dark comedy did pretty great business at the box office and grew an even larger fanbase when it hit DVD. 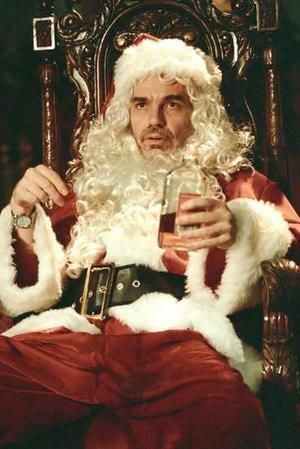 A sequel to the pic has been rumored for a while now, but things picked up last summer when Billy Bob Thornton signed on to reprise his role as the worst Santa Claus ever. Last summer we learned that Dimension Films had commissioned two different scripts for the sequel, separately by Johnny Rosenthal and John Phillips. Now it appears the studio has picked the winning script, as Thornton recently revealed that they’re on track to shoot the sequel this fall. Hit the jump for more. Thornton went on to add that they’re eyeing a Christmas 2013 release for the film. This is excellent news for fans of Bad Santa, and I’m intrigued to find out what the angle on the sequel is (fingers crossed for a Thurman Murman return). Before he moves on to Bad Santa 2, Thornton will first shoot his next directorial project And Then We Drove this summer. The road trip movie is partially inspired by Thornton’s relationship with Angelina Jolie.